We’d like to announce an exciting giveaway to celebrate the success of our VT Luxe line for QVC, which appeared on Heidi Klum’s Wildlife show during the Fashion’s Night Out (watch our Fall show on September 24 at 7am ET on QVC)! The grand prize is a mini style session with Jesse and Joe by Skype, a set of their autographed books, and one VT Luxe item of your choice: Faux Fur Infiniti Scarf, Burnout Scarf Jacket or Fedora. That’s right, we can be a thousand miles away and still see your closet, answer your style questions, and give recommendations on what would make YOU look and feel your best. If you’re mentioning us on Facebook or your blog, send us a link to make sure that we enter you (as a comment below or to media@visual-therapy.com). Each mention counts as an entry, so the more you Tweet, Blog or Facebook, the higher your chances to win! 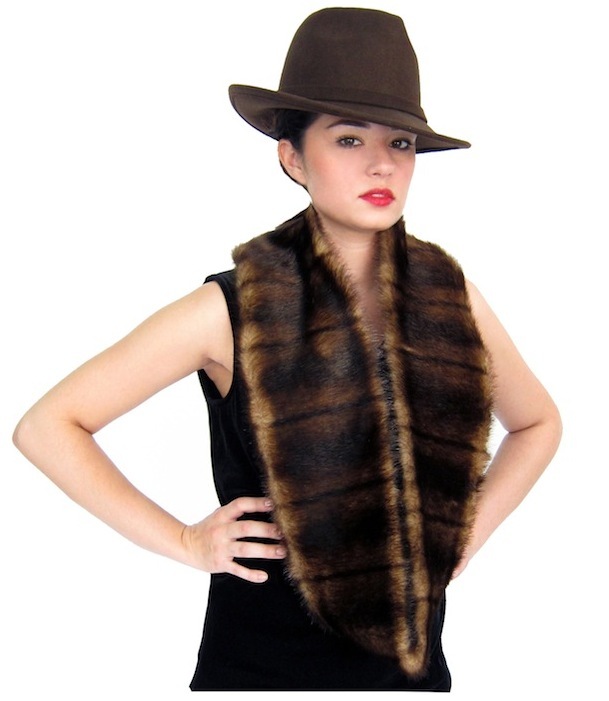 *Three runners-up will receive one item of their choice: VT Luxe Faux Fur Infiniti Scarf, VT Luxe Burnout Scarf Jacket or VT Fedora, all from VT Luxe Fall 2011 Collection. This sweepstakes runs from September 20, 2011 to September 27, 2011 and is only open to individuals who, at the time of entry deadline, are legal residents of the United States and are 18 years or older. Good luck! Got it – thanks and good luck! Sharing on Fb (San Dalvi) and also Twitter (@SS_Dal). Awesome! Thanks for the entries and good luck! Keeping my fingers crossed ..
Great style, love, love, love! love, Love, LOVE!!! your color block cape from the fall cat!! !…you guys were great on Friday night out and QVC…keep the great fashions coming! Thanks for the love Vickie! Glad you like our Color Block Cape. Entries counted!